Hello! Today I want to share tabs for one of the most popular songs – American Christmas song Jingle Bells on a single string! This song translated into many languages. Don’t understand why I didn’t add this song before… But better is late than never! I think this song are known all over the world. Do you know more songs which are so popular? 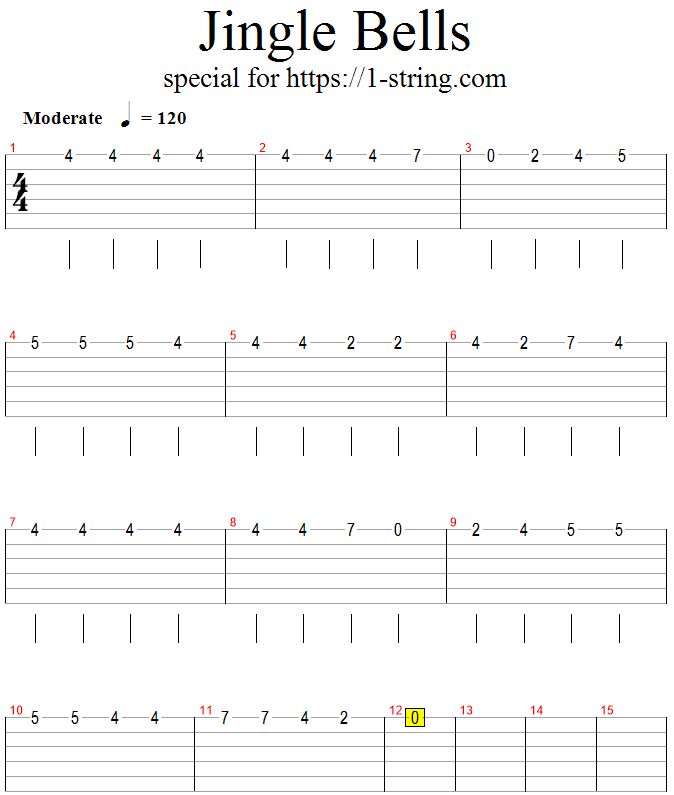 Do you like this tabs? Please write anything in comments 🙂 Thanks!